How Do I Share My Deck? Start to share a Deck by clicking on the drop-down menu and select the 'Share...' option. By default, your deck will be in the ' Off' mode. This means that there is no other person who can access your deck except you as it is saved in your Dashboard. If you would like others to view or make a copy of your deck, you will have to get the shareable link. There are two different sharing modes that you can choose from to share your deck. 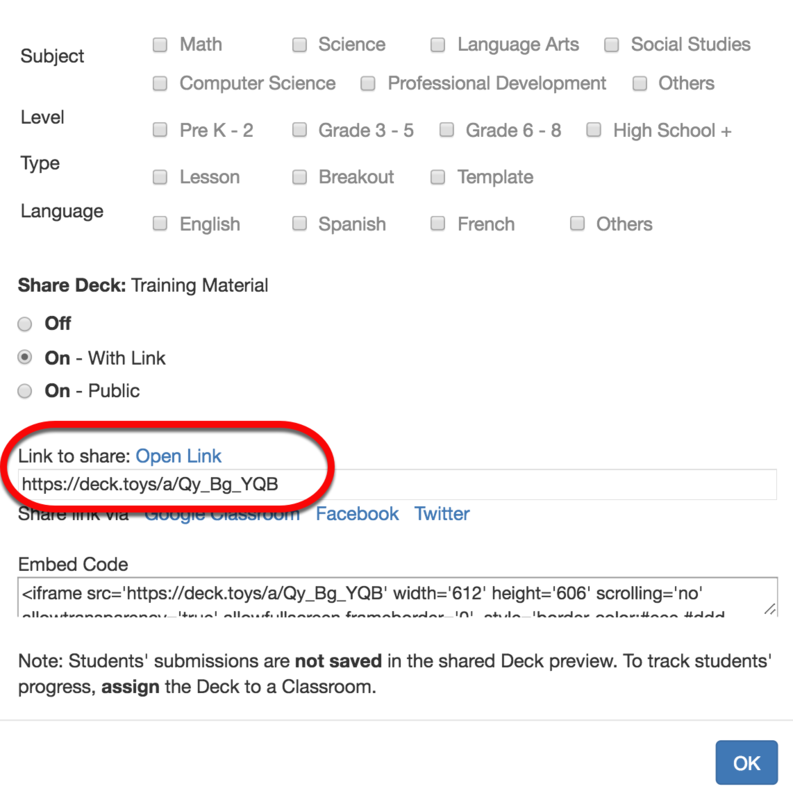 If you set your deck to be shared in ' On - With Link' mode, this means that only the person who has the shareable link will get to view or make a copy of your material. 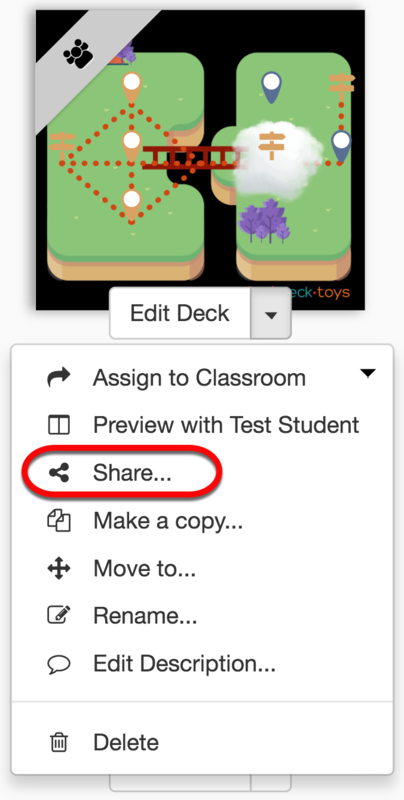 If your deck is set to be shared in ' On - Public' mode, your lesson material will appear in the Deck Gallery and can be viewed, used and copied by everyone. Before the deck can be shared with the public, a prompt will appear requesting you to complete the selection for each category. 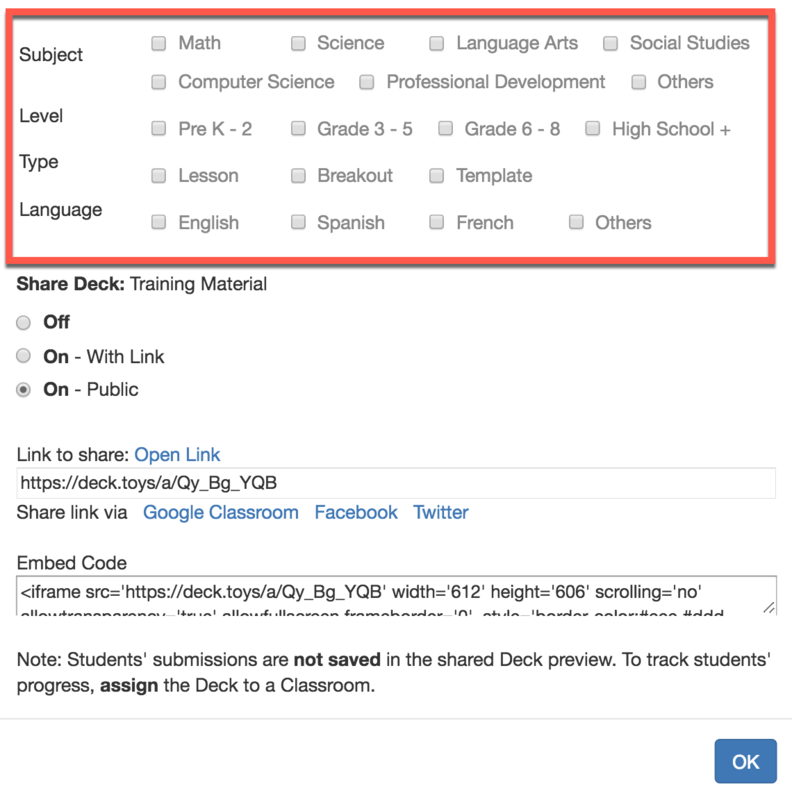 For a preview of the deck to appear in a classroom blog, copy and paste the ' Embed Code'. Note: In the deck preview, students' submissions are not saved. If you need to track and retrieve students' progress and data, you will need to assign the Deck to a classroom.